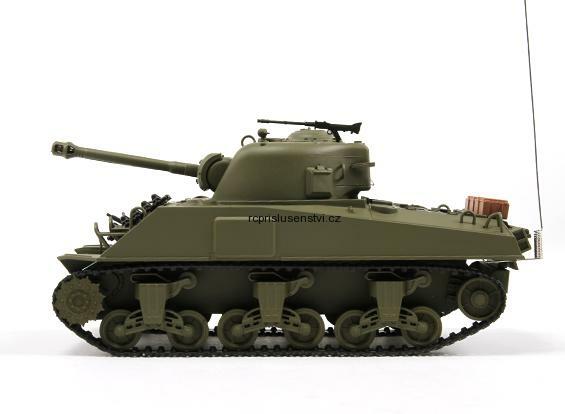 The M4A3 medium tank more commonly known as the Sherman, was the primary tank used by the United States during World War II. 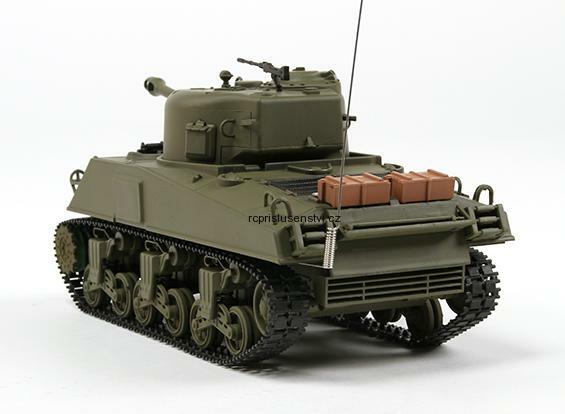 It was also distributed to the Allies via lend-lease and was used extensively in almost every theatre of operations. With over 50,000 produced it was the first American medium tank with the main gun mounted on a fully traversing turret and would prove itself in combat time and time again until the end of the war. In the United Kingdom the M4 was given the name Sherman after Union General William Tecumseh Sherman, following the British practice of naming their American-built tanks after famous American Civil War generals. Subsequently the British name found its way into common use in the U.S. 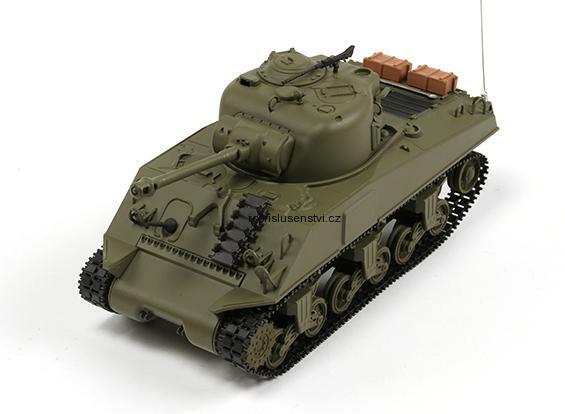 This 1/30th scale model truly represents the original M4A3 and has some fantastic scale features. For example the turret rotates 320 degrees, and the muzzle braked 76mm gun barrel can elevate up to 30 degrees. 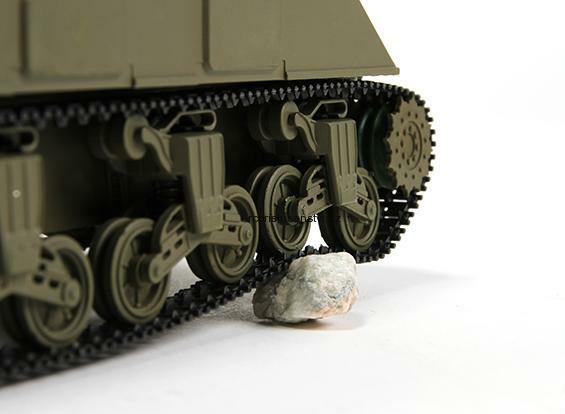 The tracks run on spring wheels just like the real thing to enable this Sherman to clear obstacles and travel up steep inclines as easily as the real thing. There are also sound features and the radio system included can control all functions. 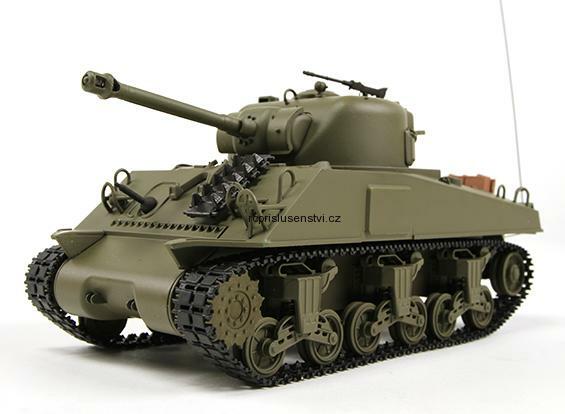 Type: US-M4A3 Sherman Medium battle Tank.